Times are tough at present. The economic meltdown has affected most sectors of the economy and this has resulted in a decrease in the cash reserves available to individuals and businesses. People are finding it difficult to pay their bills and businesses are being auctioned off to pay off company debts. Fortunately, for individuals and businesses getting a loan for your financial needs is easier than it was before. Thanks to technology, financial institutions can determine whether an individual or a business enterprise qualify for a loan. This happens in a matter of hours and applicants are able to get their loans immediately for their business or personal needs. Before taking a loan, however, there are a few things that individuals have to understand lest they get loans that they can’t handle. To help applicants in this regard, here are a few things they need to know before applying for a loan. There are a lot of lenders in the financial marketplace and an applicant shouldn’t just settle for the first lender that they come across. Repayment terms and interest rates vary across institutions and it’s up to the applicant to find the best terms for his or her loan. Most lenders publish their loan repayment terms online and you can easily access this information to find out how much you will pay for your loan from that particular institution. Check another financial institution to determine its rates as well. Continue this search until you find the institution with the best rates and repayment terms. The next step is to get in touch with your bank’s representatives to find out more about their loan processes. There are a lot of things that banks and other financial institutions do not share on their online portals and it is only when you talk to them that you will be able to understand some of these things. Some of the things that you should seek to find out from your account manager and bank representative include issues such as the penalties for defaulting a loan and whether they allow clients to pay off their debts earlier than it has been stated in their loan agreements. Some of these things may appear minute but they are very important in the loan acquisition process and applicants should not ignore them. It sounds cliché but you should not borrow more than you can pay off. Doing so will put you into a lot of financial misery as your possessions may be auctioned off to pay your debts. Your loan limit is determined by your salary if you are taking a personal loan and your business finances if you are taking a business loan. Before taking a loan, you should be sure that your salary and business income are sufficient to help you pay off your loan comfortably. A loan can help you out of a financial situation but it can turn into a disaster if you take more than you can pay off. 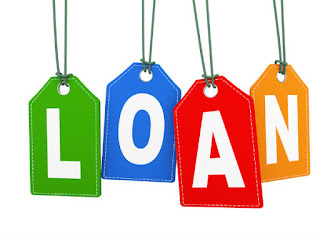 Use the above-mentioned tips when taking your next loan for the best results.